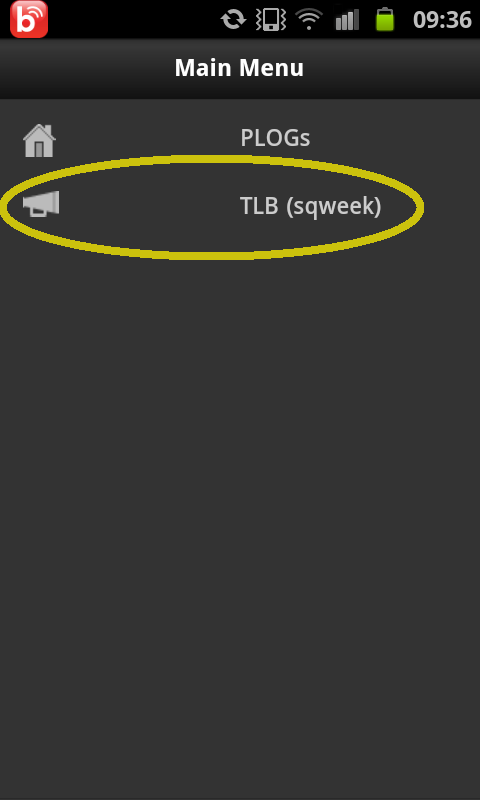 ...Just updated the TLB/SQWEEK functionality to include an embedded link in the location Tweet which takes you to a simple GoogleMap page showing the location, date/time-stamp, and accompanying note. So, when they ask "Where's Daddy ? ", just say "not sure....check if he has #SQWEEKed recently !" 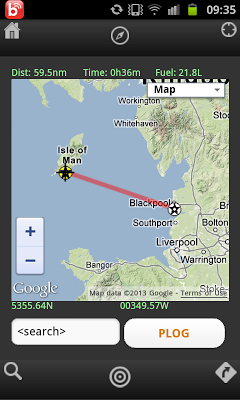 With the release of the iNavCalc mobile app v2.0, I've included a new feature called TLB which stands for "Twitter Locator Beacon", a play on "PLB" -- "Personal Locator Beacon". As the name suggests, this allows you to broadcast your location (leveraging your mobile device's location function) to the @FlyLogical Twitter feed. 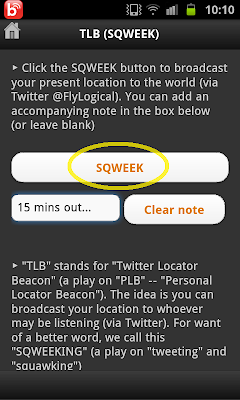 Anyone who wishes to know your whereabouts, simply follows @FlyLogical (and searches for your FlyLogical user-name with the optional hashtag #SQWEEK to de-clutter the results). 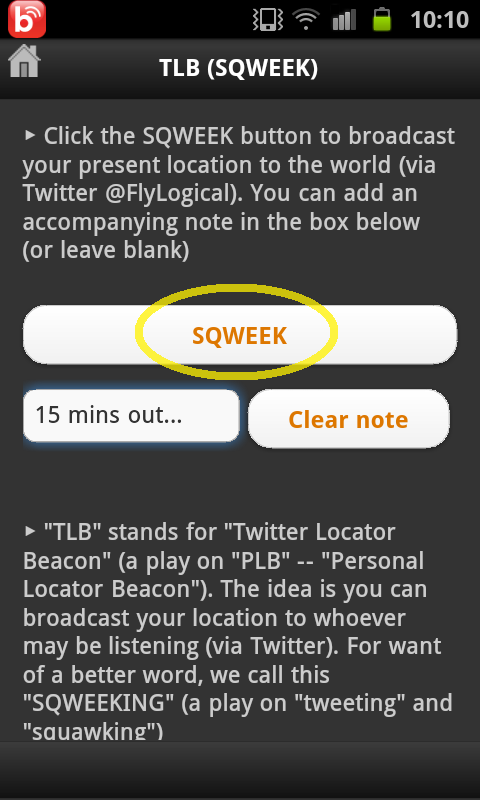 I call this "SQWEEKING" (a play on "tweeting" and "squawking"). Typical usage would be, for example, to announce to the world that you have landed safely, etc. This will take you to the main menu. 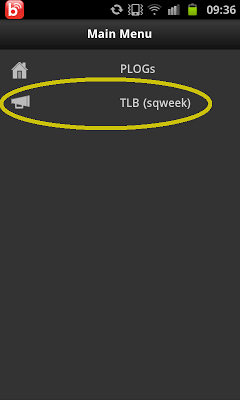 Click the SQWEEK button (adding an optional note before doing so). Assuming your location services are enabled on your device, you will receive a confirmation that your location has been verified, and you will be asked to confirm the SQWEEK. 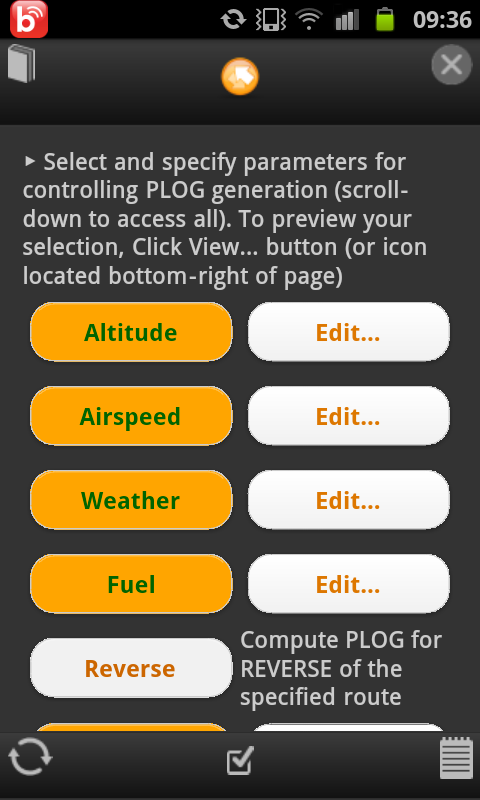 On confirmation, your user-name & location (latitude, longitude), date/timestamp plus (optional) note will be tweeted via the @FlyLogical Twitter account. Anyone interested in knowing your location may retrieve it by following @FlyLogical on Twitter. 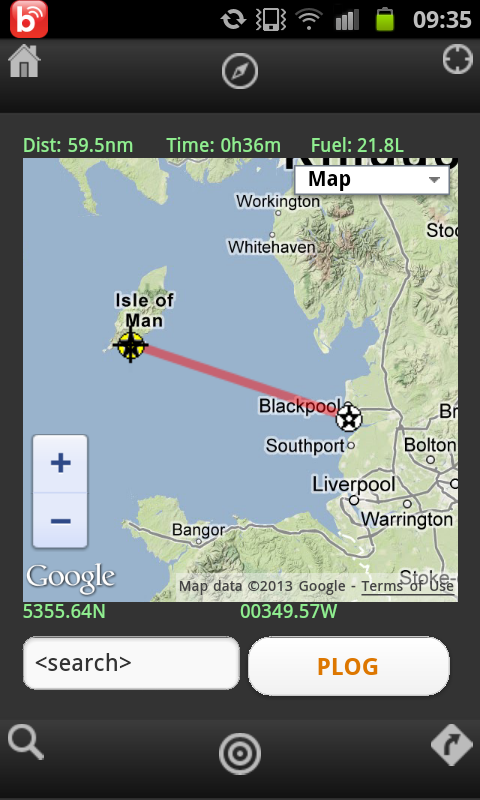 I'm pleased to announce the release of iNavCalc v2.0 for iOS and Android (including Kindle Fire). 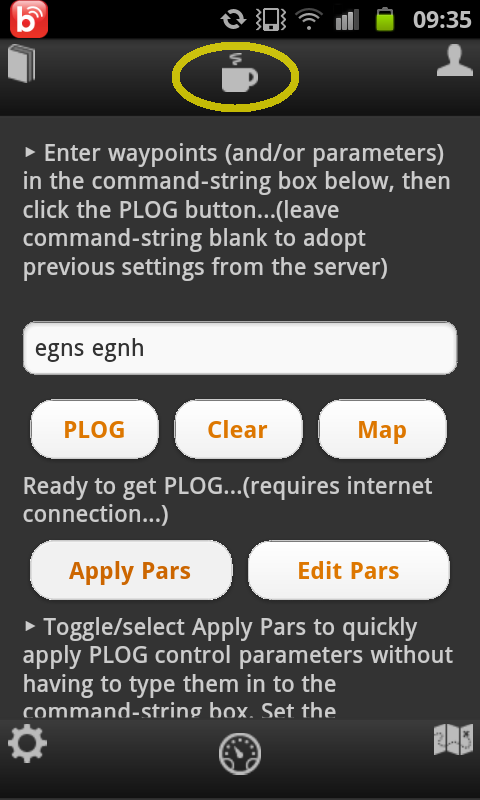 If you already have v1.0 installed on your mobile device, the upgrade will be available automatically via the respective app store. 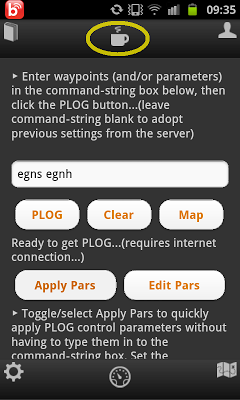 If you're one of those people who prefer to wait for "Version 2.0" before trying new app, then here it is. 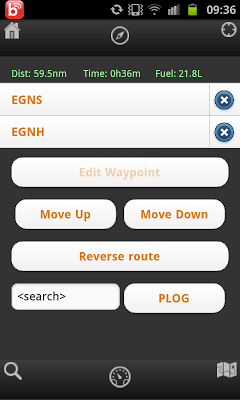 Google Maps page for entering & editing routes -- despite what the experts say about small digital maps being bad for your brain, I do admit they are handy, so I've gone ahead and leveraged the power of the Google Maps API v3.x in the iNavCalc mobile app. 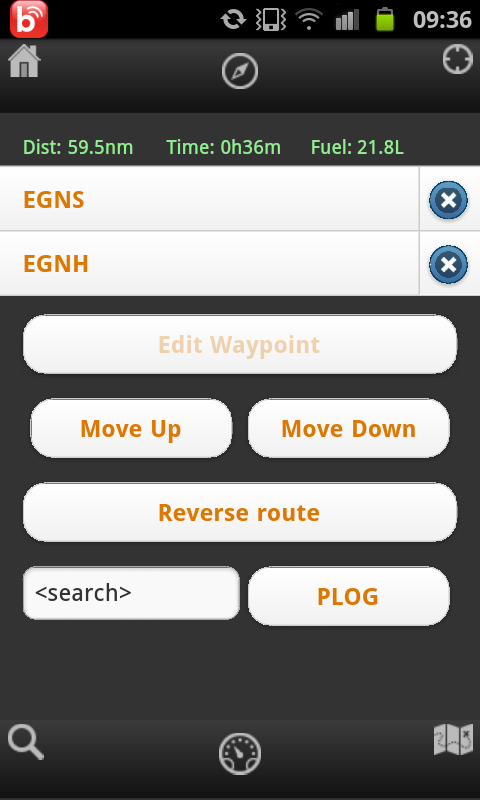 Also included touch-screen conveniences such as "double-click-to-delete-waypoint" and "click-leg-to-insert-waypoint with rubber-banding", etc. 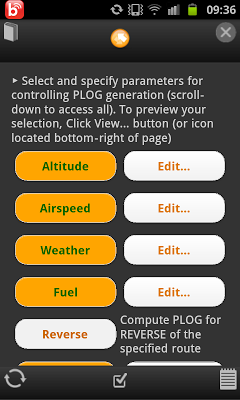 Typical usage would be, for example, to announce to the world that you have landed safely, etc.